Indeed. No prior Stout print made my jaw drop like the variant. 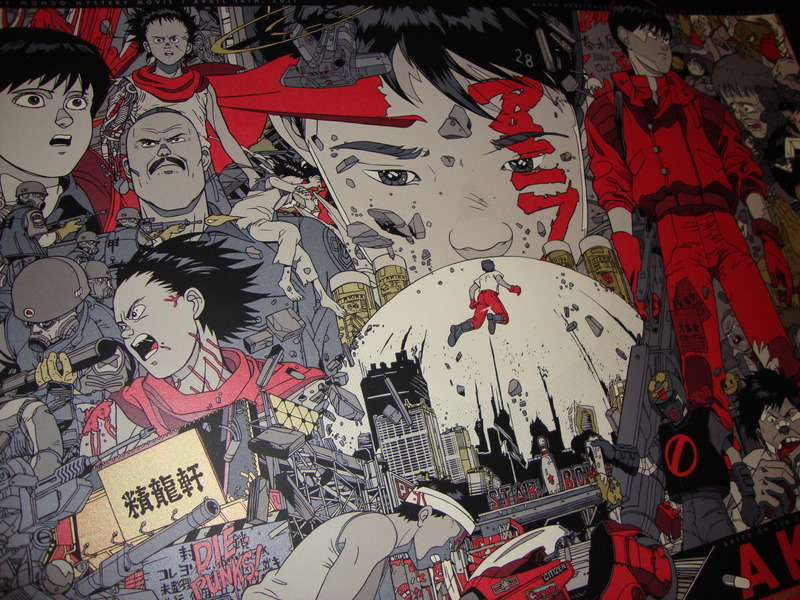 The Lost Boys and The Thing were close, but the Akira variant is pretty special. Plus, the wife loves it (print and movie) so that's a plus. I own the reg. After I had it framed, I gave it to my brother for his birthday just to hang in his house. It's still mine, but just not at my place. don't think anyone's given this the gif treatment yet..
Wow, this print looks awesome, too bad I'd likely never own it unless I win the lottery. acappa wrote: Saw this on AKIRA on eBay... this variant doesn't look to be missing the writing on the Coke sign. Last edited by theperfecttree on Fri Aug 30, 2013 2:24 pm, edited 1 time in total. iambillyg wrote: Looks like they had some harsh light on that image to show off the metallics. Not uncommon for some details to be lost when the light bounces off the metallics. If you look closely, there's a haze around the sign that appears to show the red layer there, just not very visible. This is a very good explanation,and i certainly wouldn't dream of arguing with Billy as he knows his fudge. I do kinda like the idea that there could be extra-special 'perfect' variants out there though. The sign is definitely there, you can even see it in the pic...just not very well. ....except now i am sad that i will never ever be able to afford a variant. It'll be a looooong time before i can even afford the reg.